Look at the crop of oft-cited Democratic presidential hopefuls for 2016 and you have a hard time surmising how the party’s captured the lion’s share of young voters in recent cycles. Hillary Clinton would take office at age 69, Joe Biden at 73. Both have sought the presidency before, and should Biden again attempt the climb, it’d mean he tried in three different decades. As for the second tier, Andrew Cuomo owes a lion’s share of his presidential caliber to his famous last name, with his father likely being the one Democrat who could’ve stopped Bill Clinton in 1992. Martin O’Malley, meanwhile, will only be 53 come 2016, but his potential to excite young Americans rivals that of Ben Affleck as Batman. Democrats have a dinosaur problem, and it offers opportunity for Republicans eager to reclaim The White House. 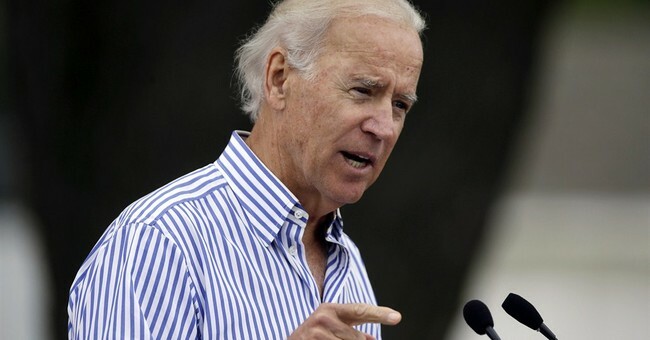 The dinosaurs were on full display last weekend at Senator Tom Harkin’s annual Steak Fry in Iowa, where Biden again stoked the 2016 fire, giving an early tease of what his third bid for the Oval Office might look like, sans the inevitable gaffes. The general gist of the confab was that of the vice-president renewing acquaintances three decades old, touting four decades in Washington as capable of being in touch with average citizens, and boasting of solidarity with a lame-duck president facing a downward spiral in the polls. Makes for winning young, independent, or centrist voters, right? Meanwhile, outside efforts are well underway to reshape Hillary Clinton’s image from that of the stoic to history-making, pop culture icon, akin to the same status acquired by then-Senator Obama in 2008. Complications? Well, the demeanor carried for her entire career, essentially. Juxtaposed against efforts to cast Hillary 2.0 in a more populist light are new reports of cellphones stripped away from onlookers daring to take a picture of the former First Lady speaking, the pictures deleted. Clinton’s 2008 campaign remains infamous for caucus state struggles, thanks in part to her difficulty connecting on the stump. Hyper-controlling events over a year out from a campaign isn’t likely to ease those memories anytime soon, nor is the lavish lifestyle that comes with being America’s top diplomat likely to make connecting with Iowa farmers, or college students dealing with record loan debt, any easier. Furthermore, the presence of trackers dogging candidates for gaffes is more prevalent than ever; if this is already occurring in a friendly crowd, who’s to say something far more polarizing won’t occur in the rigors of the campaign trail? Six years ago, the idea of Hillary Clinton as president played out better than the reality of Hillary Clinton for President. If there is a second time around, the trappings that come with being Hillary Clinton are set to be joined by a predecessor’s record she’s inevitably tied to, none of which make calculated rebranding for a final run any easier. You don’t make someone most commonly compared to the librarian shushing whisperers into a candidate transcending her own politics, capturing universal appeal, in this timeframe. Furthermore, the party hasn’t dealt with a competitive primary since 2008, equating to some egos unlikely to wait and voters eager for a leftward pivot, meaning records will face scrutiny long before the General Election. In sum, Democrats are left with a top tier of political relics, thanks to the Obama administration, their own careers, and the personalities tied to each.